This apron is softer than a kitten's sigh. It is the ultmiate light-weight apron for bakers. 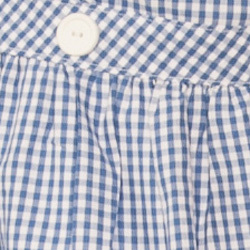 Adorn the American classic blue gingham apron and discover why there is no place like in the kitchen. 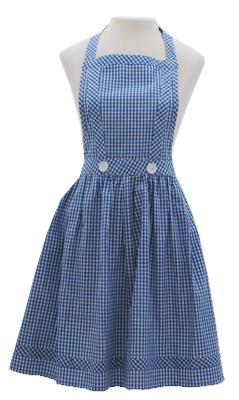 The Kansas Girl has a fully adjustable neck strap, gathered waist and side pockets.